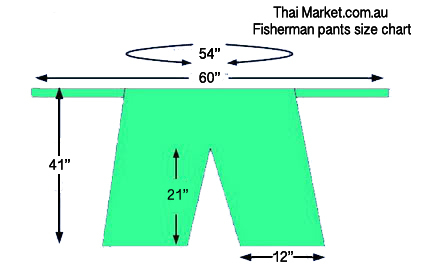 This image shows you the total dimensions for the standard size fisherman pants. that are full adjustable and fit most body sizes. If you have any questions at all please contact us.